In “Misery,” Stephen King does a lot more than the film version of the story offers. The movie is a great depiction of how scary unchecked mental illness, obsession, and stalking can become. The book has all that… but it also has the musings of a writer under bizarre circumstances figuring out what the bare bones of his craft are. In those jumbled thoughts, author Paul Sheldon remembers a game called Can You? Can you rescue your hero? Can you tell Wizard of Oz from the perspective of the scarecrow? Can you make an old story new again? I love speculative fiction, because it’s what happens when we play Can You?. This collection plays that game with myths and legends from Asia and all over the Pacific. Some of the stories I knew before I received my advance reader’s copy, others sent me flailing toward Wikipedia. All of them were more fun than what I should be reading on my bus ride home. So let’s dive in! These stories were so varied and so far beyond what I was expecting, it would be impossible to generalize, or to respond to every story in the collection. So, what follows are my favorites. Call me morbid, but I love this kind of speculation on how people and governments will deal with ecological disaster. Partly because I fear it will really happen, and partly because of what we all reveal in how we speak to that fear. This story is short, but very emotional. It examines the immediate consequences of the interruption of water and sanitation services in the context of a distressed family. Tat family becomes very real very quickly, and I found myself fighting their thirst, their stench of garbage. You know what’s ripe for speculation? Love and coupling. We are always finding new ways to work it out or change it up. Add immortality and the possibilities are endless. This author’s sense of dialogue is unerring and immediately draws the reader in. This might have been the longest story in the anthology, but it was utterly fascinating. The experience of conscription, the complicated nature of dual identity and alliances, and the way that small decisions can alter the course of one’s life keep this one very interested. Napper has worked in international aid, and it shows. The rendering of translations is done skillfully, in a way that neither masks nor over-emphasizes the idea that people are speaking other languages. If you’re looking for action, this story may be your favorite. I think this story was the most visceral for me, despite how short it is. Here, too, we are in a speculative world of what might be with regard to ecology, this time with terraforming. The final image in this story will haunt me for a long time. This was one story where I knew some things, like the helix bridge. This was also a story where I didn’t know some things, like that there is a Mid-Autumn Festival in many parts of the world. “Yamada’s Armada” struck me as a dark iteration on the Willy Wonka theme, while at the same time being wonderfully inventive. It’s hard to say anything about why this one is so good without giving it away. I’ll just say that it reminds me of some of the best ghost stories I’ve ever heard. 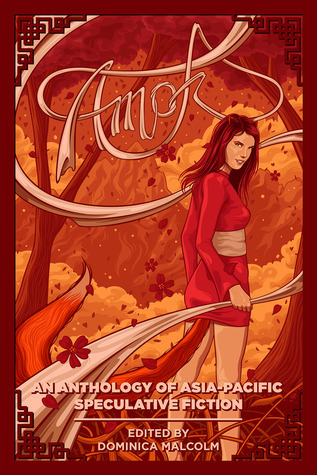 Last but not least, my friend Jo Wu is featured in this anthology. 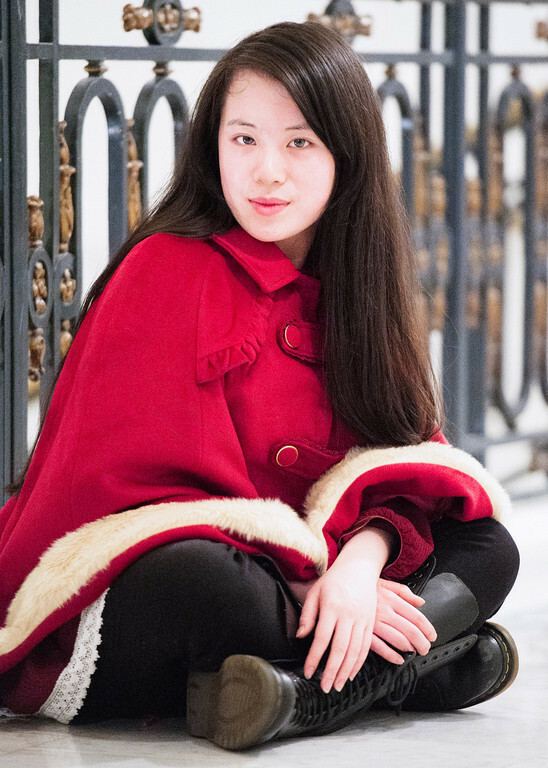 Her piece is called “Moon Rabbit,” and the story comes from China. Jo is a wonderful writer. I’d never heard any of the Moon Rabbit stories before, so I have to thank her for getting me to read about them online. Her version is a twisted retelling, thick with the greed and cruelty that makes up the worst in men. The tone of the story reminds me of classic fairy tales, and I couldn’t help picturing the rabbit-girl protagonist as the star of her very own anime film. If you know the story of Yue Tu, you will love where this goes. If you don’t know it, Jo will help bring you up to speed before the adventure begins. Overall: if you’re like me and you love the game of Can You?, you will enjoy this collection of stories very much. Also, if like me you’re the kind of adult who still requires a story or two at bedtime, these will do nicely. If you’re a reader of Asian-American fiction or Hyphen magazine, you might be looking for just this kind of book. But really, if you love to read as much as I do, any excuse will do. This entry was posted in Book Review, Books, Cleverness, Uncategorized and tagged Amok, Anthology of Asia-Pacific Speculative Fiction, book review, Books, China, Eeleen Lee, Indonesia, Jo Wu, Kawika Guillermo, Kris Williamson, Malaysia, Moon Rabbit, Philippines, Recle Etino Vibal, review, Shenoa Carroll-Bradd, Solarwyrm Press, Speculative Fiction, stories, T.R. Napper, Vietnam. Bookmark the permalink. Thank you for the wonderful review- glad you enjoyed my story “Yamada’s Armada”! Thank you for the kind words. Glad to know you enjoyed the story and the dialogue. I actually like what you have received right here, certainly like what you’re saying and the best way through which you say it.